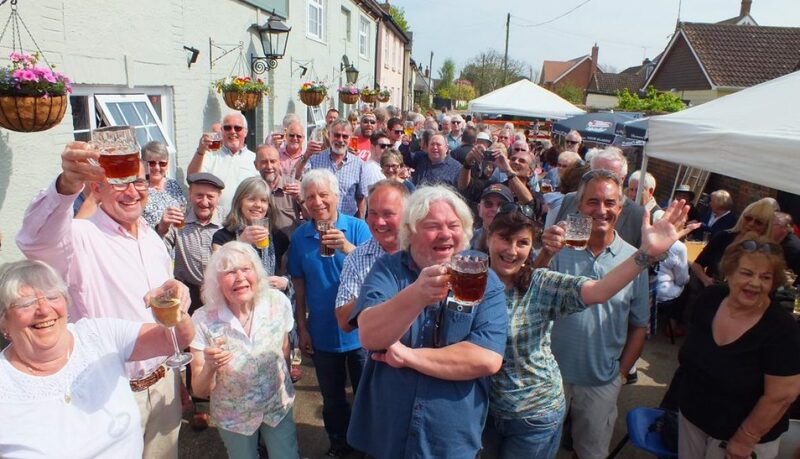 A community benefit society that saved the pub in an Essex village last year has bought a second property that it will convert into a restaurant and affordable rented accommodation. On 19 September Great Oakley Community Hub Ltd completed the purchase of the property known as the Red House which stands next to the Maybush Inn which it bought in February 2016. Loans from Co-operative & Community Finance and the Co-operative Loan Fund have supplemented the investment raised by a second community share issue. The prospects for the 2,200 people who live in Great Oakley near Harwich have improved greatly since the sad day in 2015 when the village pub was closed and repossessed by the mortgage company. With help from the Plunkett Foundation they set up a community benefit society and got the Maybush Inn registered as an Asset of Community Value. Following a community share issue that attracted over 130 investors, the pub reopened and a vital part of village social life was restored. Emboldened by their success the members of the society realised they could do more, and turned their attention to the large empty house and garden next door. They drew up plans for converting the ground floor into a restaurant / café / take-away and the first floor into three flats to provide affordable rented accommodation. They held a second community share issue. Most existing members increased their investment and over 30 new members joined the society. The Red House needs significant repair and refurbishment. The restaurant is unlikely to open before summer 2018 and the flats may not be ready until the end of next year. Unusually the Maybush Inn is run entirely by volunteers, and this further demonstrates the strength of community spirit in the village. There are now over 50 co-operative pubs in England and Wales with a notable cluster in Essex and Suffolk. There are also over 20 community-owned village shops within 50 miles of Great Oakley.